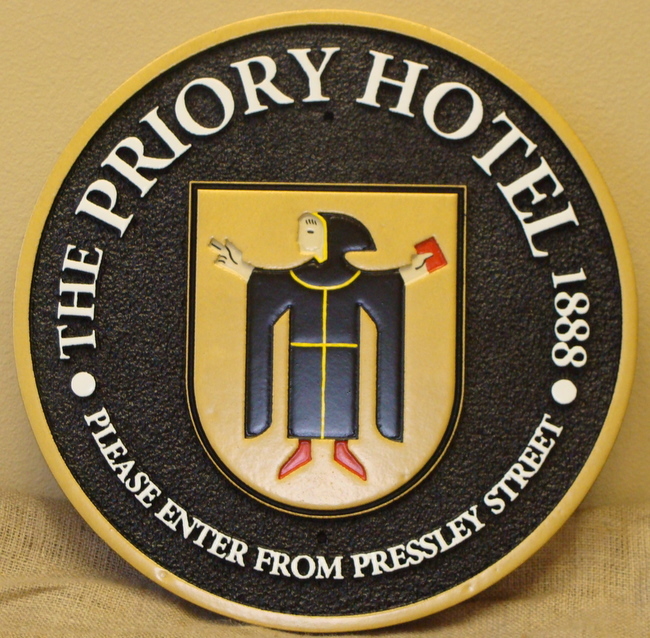 This small round carved 3-D sign provides directions to the main entrance of the Priory Hotel. The stylized carved and artist-brush painted friar logo is exquisite. The sign is clear-coated twice for additional weather and UV protection.